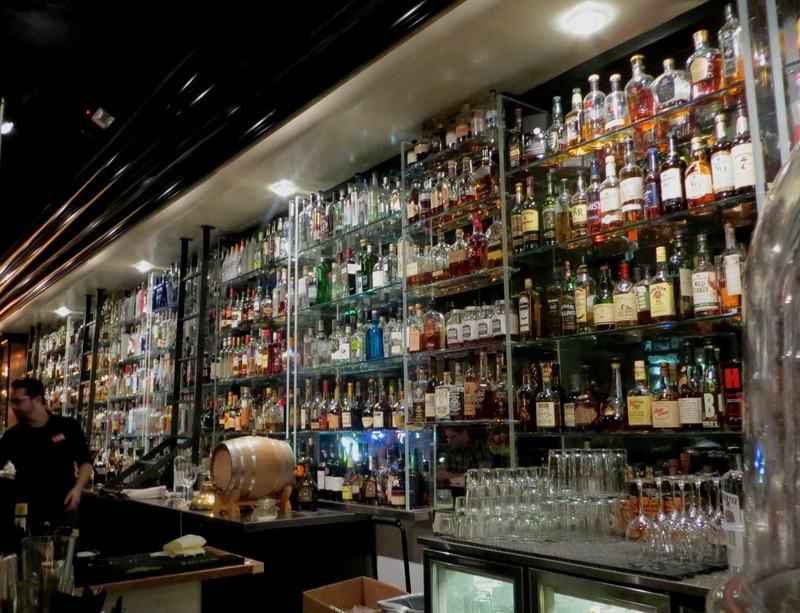 Von's 1,000 Spirits on the Harbor Steps is new, and everything about it is very different from its previous incarnation as Von's Roasthouse on Pine. But through various moves, and starting under the name Rippes, this has been a continuously operating restaurant for 109 years. After opening as Rippes in 1904, the restaurant moved to 4th Avenue in 1923. In 1940 it was sold and renamed Von's, and moved to 619 Pine in 1987. 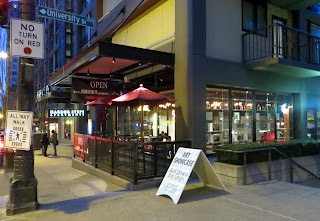 They now take over a space at the top of the Harbor Steps leading from 1st Avenue down to the Elliot Bay waterfront, previously occupied by Wolfgang Puck's and Ipanema. The new version is led by Merrisa Firnstahl-Claridge, daughter of long-time owner Tim Firnstahl, and great granddaughter of Germanus Firnstahl who founded Sunny Jim Peanut Butter. While the previous location was known for affordable after-work martinis, the new location lies in a more touristy area just up from Pike Place Market and provides a sort of circus of food and drinks. 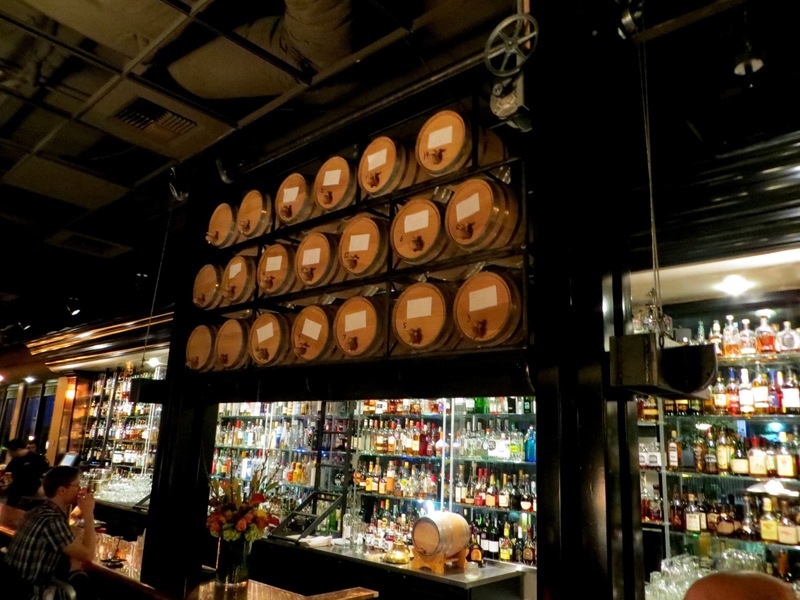 They claim to have the largest selection of spirits in Seattle (over 1,000, as the name implies), including Louis XIII cognoc for $608 per shot as well as a number they brew themselves in oak casks above the bar. 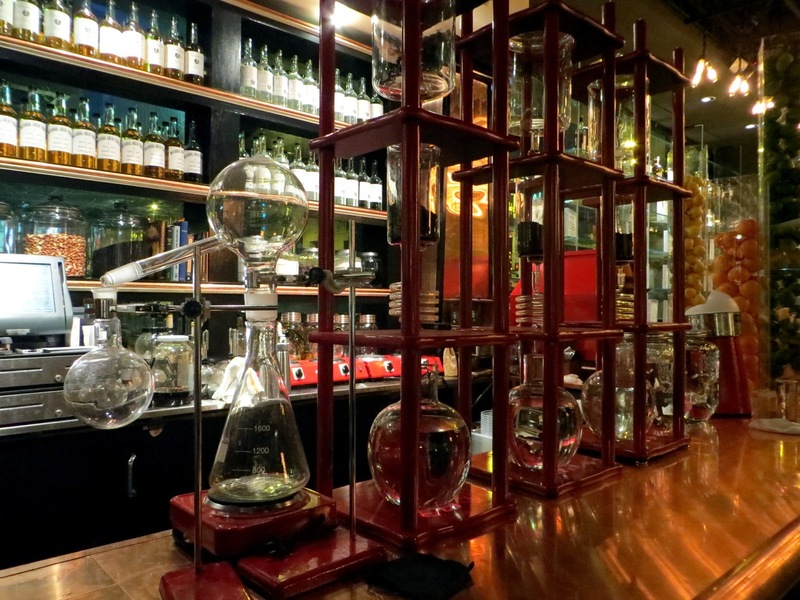 They call the bar "Alchemy" and play up the mad scientist theme, with chemistry lab style filters and flasks and referring to their mixologist as both "alchemist" and "bar scientist." From there they serve circus drinks like a "French Open" (cotton candy melted at your table with Lillet, lemeon lime soda, and "boozey berry gelee") and the "Big Apple Gelee (their in-house, ultra-filtered "Sanctified Vodka", apple pucker, lemon lime soda, and boozey berry gelee). The bartender at my first visit was not well versed in craft cocktails, but was friendly and game for suggestions. 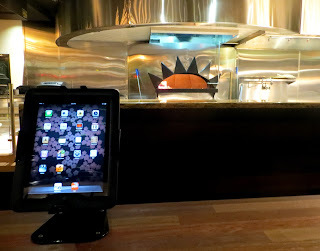 The food too takes some exotic spins on standard pub fare. They don't serve "burgers" and "pizzas," they serve "hamburgs" and "frics." 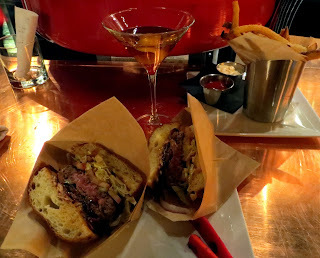 I had their "Classic" hamburg and it is one of the better burgers in the city, using prime-grade marbled beef, chopped daily in-house, with housemade sourdough brioche bun, shaved iceberg lettuce, red onions, tomatoes, packer dills, candied bacon, aged Columbia Valley cheddar, and "Jim's Drive-In sauce." Clearly this is the establishment of someone who very much wants to be adventurous, and is not interested in sticking to any theme or period. They have a vinyl station which supplies all house music from vinyl, and an iPad bar across from the cocktail bar, where patrons can browse as they drink. I'm not quite sure what to make of it it, but it is plainly not quite like any other place in town. Thanks Peter for the great review and posting accurate information! Let me know next time you are in the area so I can buy you a martini. They don't have the largest spirits collection in Seattle. Canon in Cap Hill has the larget in the country at close to 3000.